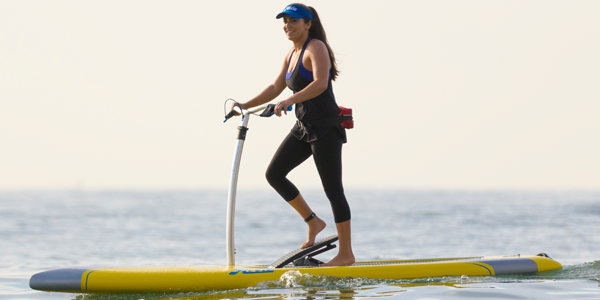 Riding the Mirage Eclipse is as easy as walking. Step on and go! The Mirage Eclipse brings all the advantages of a MirageDrive kayak to the stand up world and, it’s so welcoming, there’s virtually no learning curve. Step on and go! Modest winds are no impediment. The Mirage Eclipse is stable and quick, with sleek handlebars that enhance balance while intuitive fingertip rudder controls make the Mirage Eclipse incredibly nimble and easy to steer.